Meithrinfa y Dyfodol nursery has welcomed parents back with open arms after being forced to close in October following a devastating fire. The fire is thought to have been caused by an electrical fault. Ms Davies received further bad news when moves to temporarily house the nursery at Cellan Millennium Hall were blocked by education chiefs due to inspection regulations. 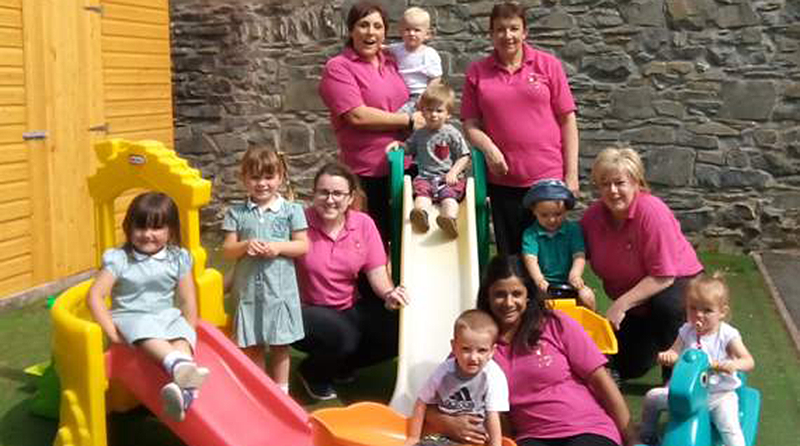 The nursery, based in the village of Cellan in Ceredigion, currently cares for 60 children and also employs twelve members of staff, including a full-time cook. Ms Davies expressed her happiness this week after she had doubts that the nursery would ever be able to reopen again. She said she was “ecstatic” to see the nursery back up and running, having been restored through insurance at a cost of £500,000. She said: “I honestly thought I would have to put my hands up and say enough is enough. “There was massive damage. Not only from the fire but from the water used by the fire-fighters.